Curbs and road debris can scratch and scrape your alloy wheels and alloy rims. If left un-refinished, this can lead to degradation and corrosion. Reconditioning is a total refinishing and repair of damaged that have been scratched, scraped, and have peeling paint. The alloy rims are removed from your car, prepared, repaired, primed and painted, and clear coated. We use paint adhesion technology and only use OEM-approved pain to color match every wheel. 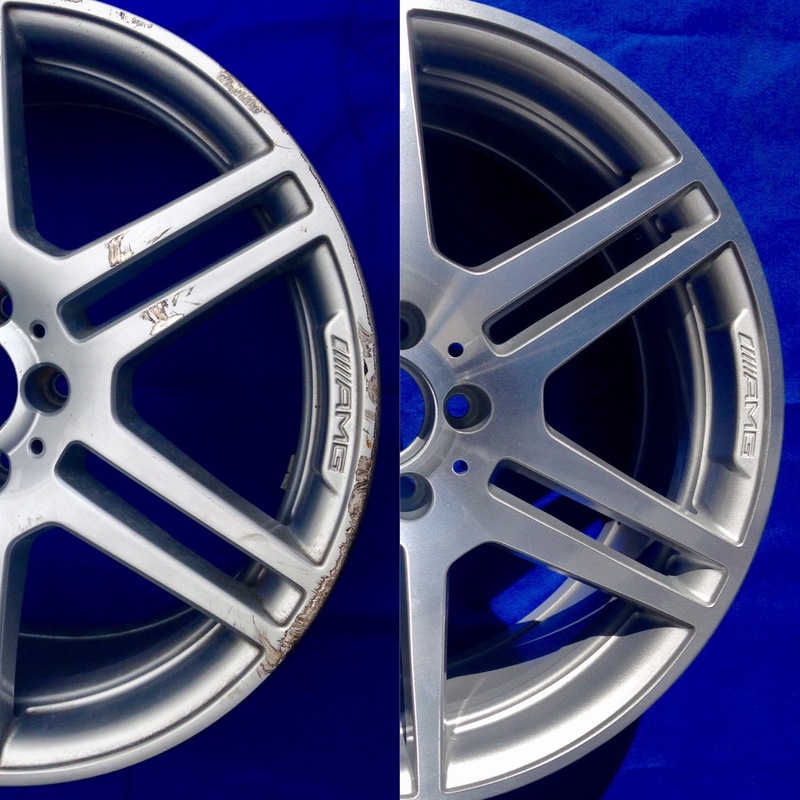 All reconditioned and refinished wheels will have a like-new condition. Guaranteed! Hyper Silver – Hyper silver can be difficult to match, so the results might be 90-95% close to the original wheel. Charcoal (Dark Hyper) – The same results with this finish, typically the reconditioned wheel will match 90-95%. Chrome – Chrome is the mirrored finish made by chrome plating a wheel, please be aware chrome wheels cannot be reconditioned, only stripped and re-chromed. Please scroll below for information on our chrome plating service! Q: Will my wheel look brand new? A: A reconditioned wheel will look like new, all cosmetic damages won’t be noticeable. Q: How do I know If my wheel can be reconditioned? Q: Can all wheel finishes be done? A: Some finishes are harder to match to other wheels, standard silvers are simple, while other special Hyper silvers can be tricky and sometimes will only match 90-95%. For more information on finishes, take a look at our short article on OEM finishes.